Instead of £19.00. You save £0.95 due to the online discount . 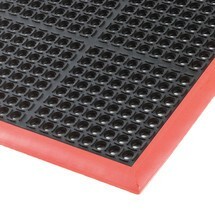 The ergonomic mat made of foamed PVC (polyvinyl chloride) makes it easier to work standing for concentrated periods of time. 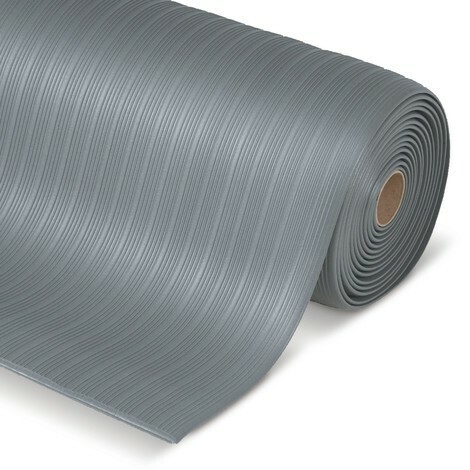 It provides improved ergonomics for the workstation design because the soft material ensures that your employees can always stand comfortably. 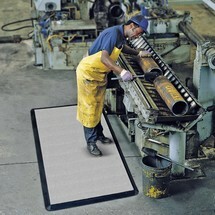 Your employees can stand safely and comfortably on this work mat. 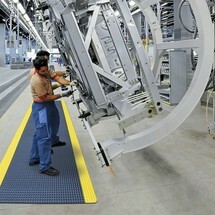 Thanks to its ergonomic properties, it ensures that your employees become tired less quickly when standing to work. 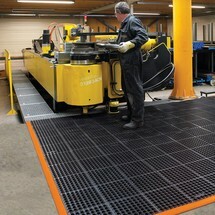 The Premium anti-fatigue mats made from vinyl foam are therefore particularly suitable as a standing surface for work areas in assembly as well as for packaging, inspection and control stations. 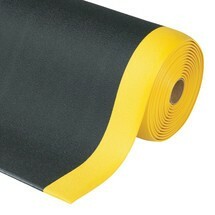 The floor mat is made entirely of insulating vinyl foam. 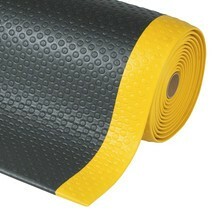 The soft material ensures pleasant standing. 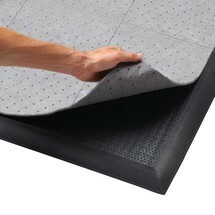 In addition, the impact of falling objects is cushioned so the mat also protects your floors. 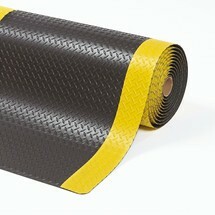 The grooved surface has a non-slip effect and the 4 tapered sides minimise the risk of tripping. 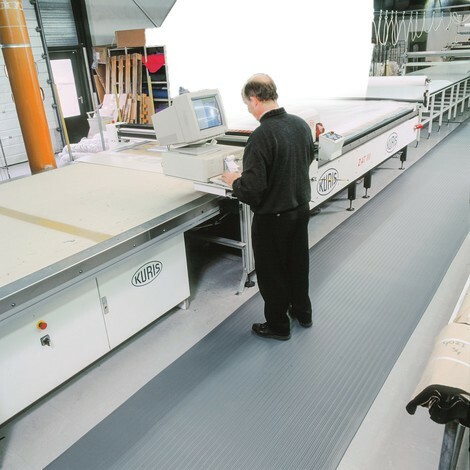 The maximum roll length for the floor mat is 18.3 m.
Ensure the best possible ergonomics for your workstation design and order the Premium anti-fatigue mats in vinyl foam from us here.